The Detroit Medical Center has announced it has created the Crisis Addiction Response Team (CART) addiction recovery program in an effort to decrease opioid overdoses and deaths in the Detroit region. The program was formed in conjunction with Detroit’s Team Wellness Center, a clinic dedicated to enhancing the well-being of individuals in the region dealing with severe or chronic mental illness. CART focuses on providing medication-assisted treatment and management to patients by a team of medical experts trained to identify high-risk patients in the emergency room and offer them practical solutions and treatment options for a sustained recovery. Through the partnership, DMC will oversee the acute treatment of an overdose patient by administering an opioid overdose reversal drug. Once the patient has been medically treated, Team Wellness Center will manage the chronic aspect of the patient’s addiction by providing physical and behavioral health services. A 2017 report conducted by the Michigan Department of Health and Human Services disclosed that 1,901 of the 2,700 overdose deaths in the state were opioid-related, which represents about an 8-percent increase from the year before. 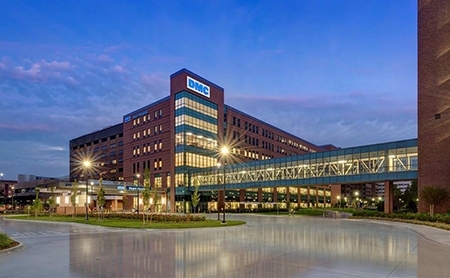 DMC is based in Detroit and operates eight hospitals and institutes. Team Wellness Center has clinics in Detroit and Southgate.